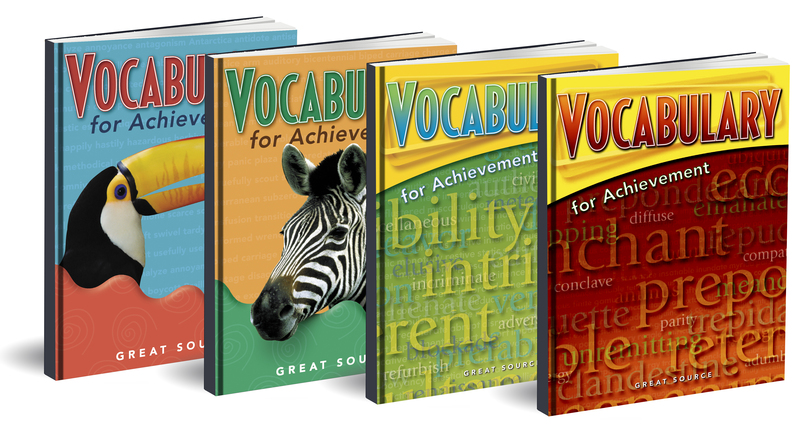 Boost test scores and improve reading achievement in only 15 minutes a day with Vocabulary for Achievement, a research-based approach to vocabulary development. Help students master vocabulary skills and strategies with 30 lessons thematically organized around central concepts that they can connect with, preparing them to read, understand, and write effectively. The reproducible tests and sentence completion activities will prepare students for the SAT. Great Source.